Stella, Drew and Cara are triplets who are close and they feel helpless because Cara isn't winning her battle with non Hodgkin lymphoma. When Cara's favorite boy band "The Heartbreakers" were in town, Stella and Drew decided to get her a signed poster from the band. Stella ended up meeting the lead Singer Oliver on her Starbucks run and they didn't know each other so they flirted with each other. It started a romance between Stella and Oliver, it also helped Stella deal with her guilt about Cara's cancer and begin to make plans that didn't revolve around her sister's cancer. 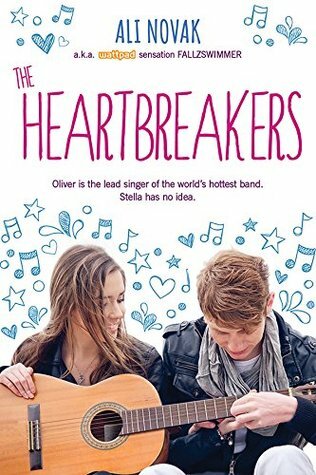 Sign into Goodreads to see if any of your friends have read The Heartbreakers.